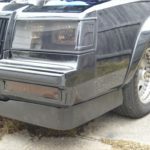 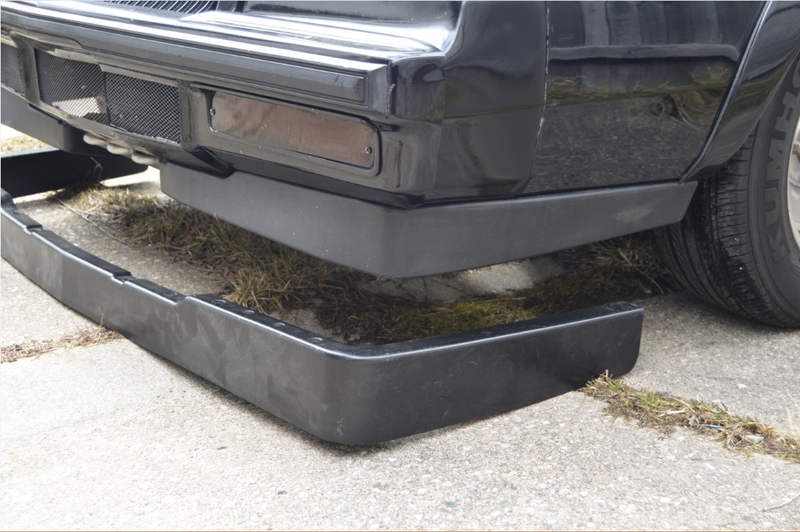 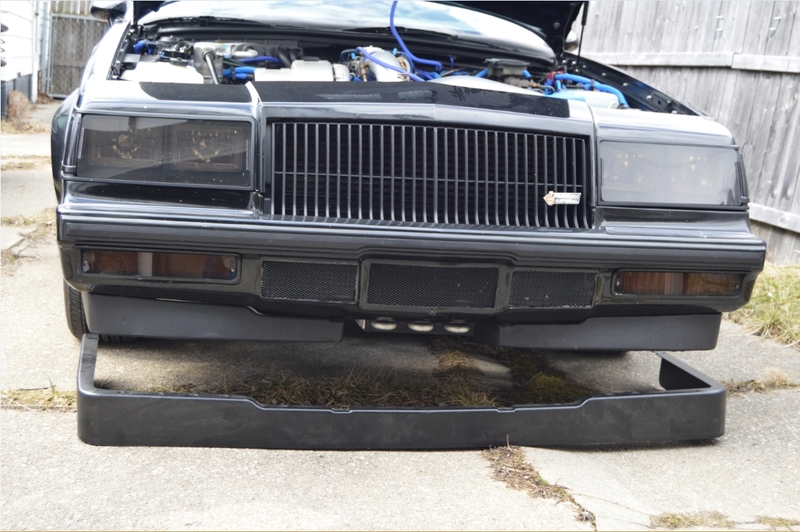 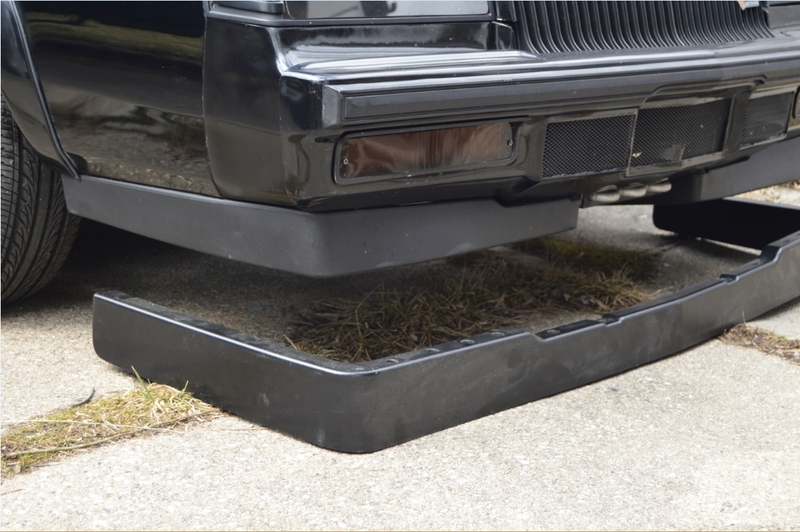 The full width 1-piece front air dam was available as an OEM stock unit on 1984 & 1985 Buick Turbo Regals. 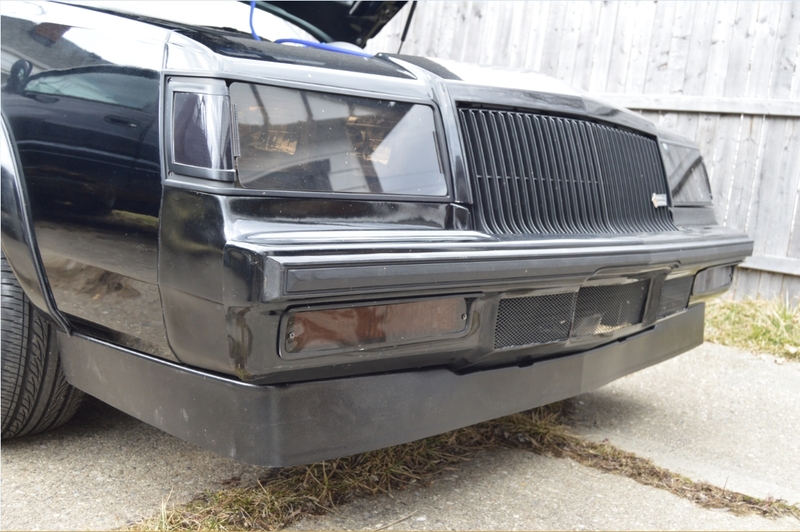 The air dams were converted to 2-piece units for 1986 & 1987 Regal G-bodies because of the intercooler in the middle. 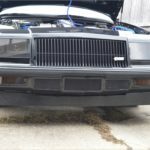 Nowadays, if you have a front mount intercooler, you can make the front of your Turbo Regal look a bit more aggressive (plus it will keep more air from getting under the car) by mounting one of those 1-piece front air dams on it. 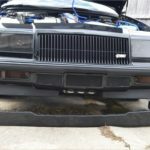 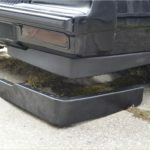 Just locate one from an 84 or 85, or acquire a new one from a place like Gbody Parts, who’s item is actually a little bit taller (by 1″, actually making it lower to the ground) than the factory Buick version. Cost is about $200 new (plus shipping, of course). 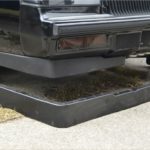 Install (removal of old parts & replacement with new item) takes less than 30 minutes (even if you have to modify the holes), as it uses the same mounting locations as what you have on your vehicle currently. 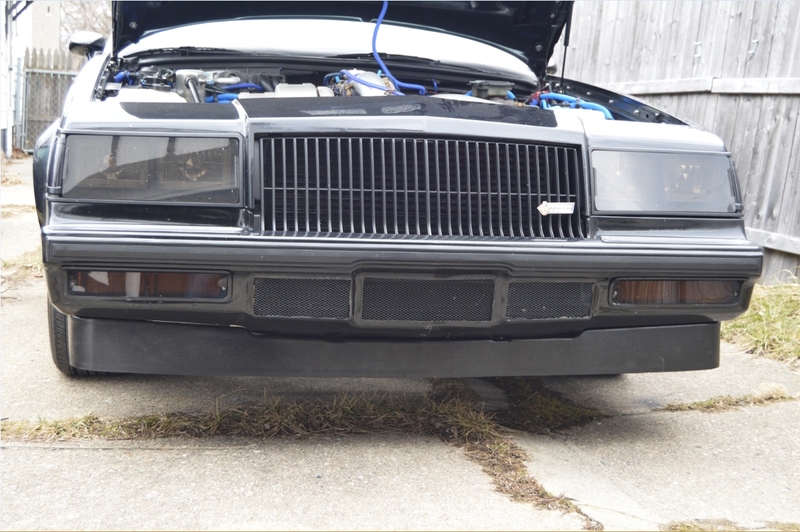 1. unbolt your old parts. 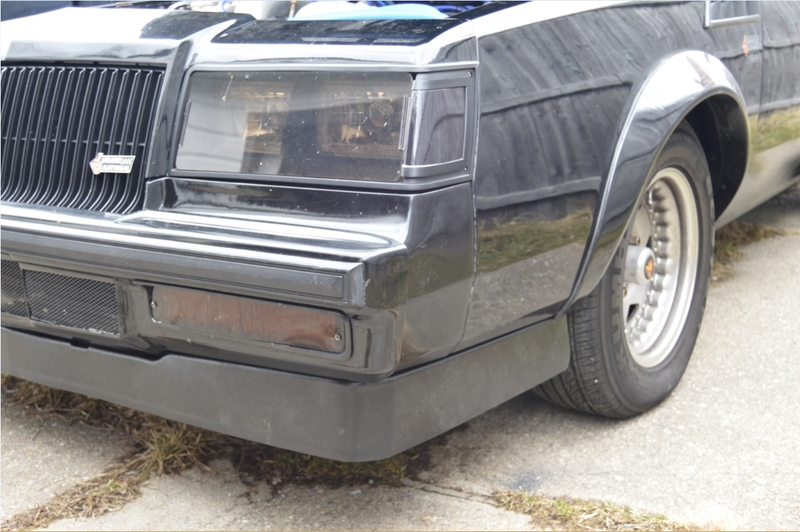 2. bolt on the new part!